Based off of one of the most exceptional east coast beers (in our humble opinion) on the market, this double IPA recipe instantly became one of our favorite ingredient kits! Our version of a Heady Topper clone recipe is packed with almost a pound of hops, and is definitely a beer that will have hopheads in hopheaven. If you're a fan of IPAs, double IPAs, or anything having to do with hops, this is one beer you need to brew! 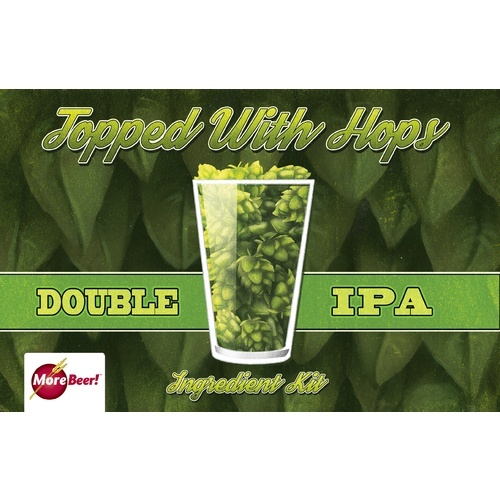 When do I add candied sugar to boil with topped with hops all grain recipe kit? BEST ANSWER: Add it in with 10 minutes left to go in the boil. Unfortunately I brewed before I got this answer. I put sugar in at 45 min of boil. The instructions only say boil with no timeline. In your opinion will it be okay? I will find out in two weeks but just asking. Thanks. Might caramelize the sugars a little, but will be fine. Can I make this kit in the mash and boil? BEST ANSWER: Hi Brian - If you are referring to to the Braumeister, then yes. The kit can be made in the mash and boil. Which of the recommended yeasts should I use? 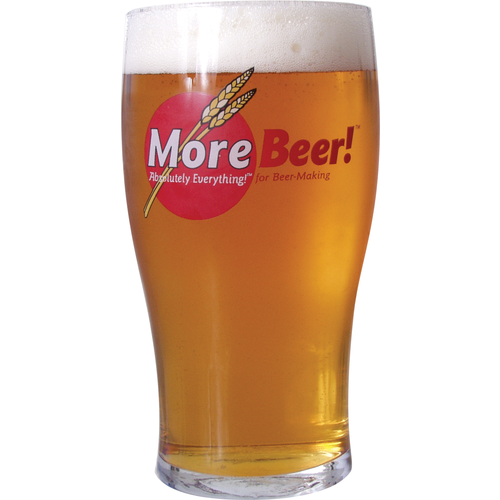 BEST ANSWER: I would recommend GigaYeast Double Pitch - GY054 Vermont IPA Yeast. Going to be as close as a match to the strain that The Alchemist uses in Heady Topper. What a great kit! One of my favorite morebeer recipe kits. Dangerously easy to drink, my abv was a little higher @ 9%. Will definitely keep this on the rotation! Alot of Kettle addition hops - be prepared. Use hop bags or a hop spider etc. Lost a lot if wort because I didn't this time and decided to make up with water in fermenter which brought OG down. Smells awesome in the kettle. I'll see how it tastes in a few weeks. A very nice DIPA recipe. I'm down to the last couple of glasses of this brew and have coveted every sip. The only augmentation I made to the kit was to add a pound of 40L grain to compensate mash efficiency since I batch sparge. It darkens the brew a tad and adds a slightly more robust flavor on the malt side. The hop schedule is more diverse than I've used in the past, but the results are nicely balanced and flavorful. This is a really good kit. Buy and try! Full disclosure, I have only tried a sip of Heady Topper once before I really knew that much about it. I only had a sip so I have nothing to go on, but this clone makes one awesome double IPA! Nice balance of Malt with a juicy hops blast. A good mix of dank from the columbus and simcoe, pine-yness from the Centennial, and juiciness from the Amarillo. I prefer it to almost any other IPA I have ever brewed. I easily enjoy it as much as a fresh growler of Pliny the Elder I got from the Russian River Brewery and that's saying a lot!